SESI is a private company that provides comprehensive special education services for students identified with emotional and behavioral disabilities. We are currently seeking two teachers (HS Math and HS Science) for the 2014 -2015 school year. Our school, New Hope Academy is a unique public-private partnership with Baltimore City Public Schools serving students in grades 6-12. Currently in its sixth school year, New Hope Academy has created a therapeutic academic setting that includes positive behavioral supports, highly structured student protocols, and modified access to the Common Core Curriculum. Potential employees should be highly motivated, flexible, open to giving and receiving feedback, enjoy working as part of a team, and feel comfortable working an environment where students display severe behavioral issues. Special Education teachers at Intrinsic provide a mix of co-taught and separate class support for students. Our school has 1:1 technology and a unique 21st century learning environment. 100% commitment to preparing every student for a rigorous four-year university. Facilitate student learning by designing lessons, leading small groups and conferencing with students, Provide direct instruction based on student need. Lead and own results of an advisory that meets daily. Constantly review student level data to inform instruction and student groupings. Support student learning outside the classroom â€" facilitate clubs, after-school tutoring, attend school/community events, etc. Certified to teach Special Education in IL High School. We offer a chance to make huge impact in urban education by creating an academic model that leverages great teaching and the precision of technology to personalize education for each student. Our team has a unique mix of charter and deep CPS experience that creates a broad range of perspectives. Our special education team will also have access to mentors with 60 years of collective special education experience including district leadership, teacher training and coaching and IEP development. Finally, we offer a chance to be a part of an elite peer group. We collaborate with some of the most successful traditional charter and district schools and the most innovative schools nationally as we refine our model. The transformations we see starting at our new campus will be shared across the city, the state and the nation to every school ready to install blended classrooms. Positions available for Early Childhood Special Educators to work with children of American military families stationed overseas! Positions available at Okinawa, Japan. The position works with children in the 0, 1 & 2-year age population in a home-based early intervention program. Relocation, housing stipend, excellent benefits, and generous compensation with tax advantages. Apply Today! Relocation, health & dental benefits, 401K Plan, four weeks paid time off & ten federal holidays. b. Adapt and differentiate general education teachers' weekly lesson plans, assessments, classwork and homework to meet individual student goals. 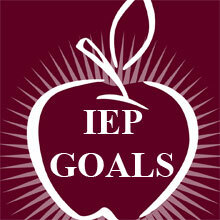 Plans should include IEP goals, accommodations, modifications, and what in-class supports will be provided. Interested candidates please send resumes to jobs@kipphouston.org . 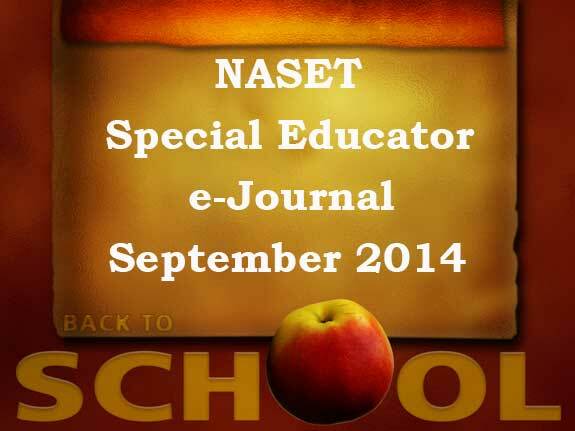 Special Education Teachers needed for full time school based opportunities. One school is in Mesa, one in Tolleson and one in Casa Grande. Each teacher is responsible for 1 classroom. The caseload ranges from a variety of physical, mental and emotional disabilities. The cases can be moderate to severe. Must be a certified special education teacher in the state of Arizona and they also must have their AZ fingerprint clearance card. 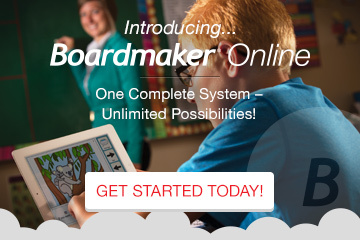 Full benefits, PTO and more! We have a few great Special Ed Teacher openings. One in Millbrae and another in Redwood Shores both in CA. Candidate must be well versed in: facilitating IEP meetings conducting assessments/report writing preparing IEP paperwork using a computerized program all aspects of case management. Immediate openings, full benefits. All candidates must: hold a current CA teaching special education credential with the added Autism Authorization (if not already embedded in their credential). Minimum of 2 years SpEd teaching experiencing required. As one of the first charter schools in Illinois, Perspectives Charter Schools has a long record of preparing students for success in college and beyond. Our five schools across the South Side of Chicago offer students an education that combines character development and academic rigor through the A Disciplined Life education model-with impressive results. Our students come from some of the most disadvantaged neighborhoods in the country, but they graduate from high school, enroll in college and persist in college at a rate above the national average for all students, regardless of background. The keys to our success are our dedicated, hard-working, creative and compassionate teachers. At Perspectives, teachers help our students learn to live the 26 principles of A Disciplined Life, while also providing high-quality, rigorous instruction in their subject areas. Perspectives teachers make meticulous plans for units and lessons that focus on higher-order thinking skills, use formative assessment to guide their instruction, provide differentiated support to all students, and build meaningful and professional relationships with students and families. They are ambassadors for A Disciplined Life and believe passionately in the potential of our students. Camino Nuevo Charter Academy offers exciting once in a lifetime opportunities to teach in a K-12 charter school. CNCA seeks candidates who will use innovative curriculum and teaching methodologies to establish a culture of educational excellence through great professional development opportunities and team teaching. Teachers must be visionaries, eager to be in the forefront of educational practices and must embrace the challenge of demonstrating that public education in a low-income, primarily immigrant, multilingual area can succeed. Teachers will receive a competitive salary and health care and retirement benefits. * Camino Nuevo Charter Academy intends that all qualified persons shall have equal opportunities for employment and promotion. Come to the beautiful Pacific Northwest and join ESD 112's Special Education ESA, the largest Special Education service provider in Washington! We invite you to apply to be part of our dynamic team, which provides quality education to children, schools and communities in 28 districts. The ESA provides special education and related services with focused knowledge and expertise in research-based, best practices in special education. We are recognized for educating students in the most effective, efficient way possible with valuable resources and support from our dedicated staff, regional coordinators and leaders. In addition, the ESA works closely with districts and partners with communities to equalize educational opportunities for children in small and rural locations. Twenty-eight school districts in SW Washington and other parts of the state have joined the ESA under the umbrella of ESD 112 to provide special education services to 2,200 students. You will be a part of an organization that celebrates the diversity of our staff, students and families and strives to meet our mission to provide equal educational opportunities for all students. Apply to teach at TEP! Featured in The New York Times and on 60 Minutes, The Equity Project (TEP) Charter School is the school that pays its teachers a $125,000 salary to work on a team of master practitioners in an environment that values and develops teaching excellence. TEP is a 5th through 8th grade middle school serving low-income students in the Washington Heights neighborhood of New York City. In each of the past 2 years, TEP has earned an overall grade of "A" from the NYC Department for Education and placed in the top 10% of all public middle schools in New York City. TEP is currently hiring 5th-8th grade teachers in Music, Science, English, Social Studies, Special Education, Math, Debate, and Physical Education. Learn more at www.tepcharter.org/apply.php. To apply, please follow the specific instructions on our website.